Richard Walter Engram was born on 14 June 1858. He was the son of Edward W. Engram and Quintine T. Johnson. Richard Walter Engram died on 24 February 1874 at age 15. Mary Elizabeth Engram was born on 12 February 1860. She was the daughter of Edward W. Engram and Quintine T. Johnson. Mary Elizabeth Engram died on 29 November 1924 at age 64. Ella Dean Engram was born in January 1862. She was the daughter of Edward W. Engram and Quintine T. Johnson. Ella Dean Engram lived in 1925 in Calhoun County, Georgia. Birth: May 16, 1863, USADeath: Sep. 19, 1925DaltonWhitfield CountyGeorgia, USA Published in The Calhoun Times, Calhoun, Georgia, on September 24, 1925.Mr. O.C. Engram, a prominent Calhoun citizen, died Saturday evening, September 19th, at the Hamilton Memorial Hospital, Dalton, following an illness of several days. He was born May 16, 1863. He had been for thirty years a member of the First Methodist Church of Calhoun. He was married twice, his first marriage was to Miss Mollie Harris, on November 3, 1889, who died December 26, 1908. There was born to this union one son, Ben Engram, who recently held a position with a contracting company in St. Augustine, Florida. His second marriage was to Miss Ethel Kay, which was solemnized in Atlanta on December 2, 1913.Mr. Engram was in business in Calhoun thirty years, seventeen of which he had been associated with Mr. Frank Robinson in the Engram & Robinson warehouse. He is survived by his wife; one son, Ben; one sister, Miss Ella Engram of Calhoun; and one brother, Mr. Edgar Engram of Atlanta.The funeral was held at the home on College Street Sunday afternoon, Rev. E.D. Hale and Rev. H.P. Bell officiating. Interment following in Fain Cemetery. He was buried at Fain Cemetery, Whitfield County, Georgia. Edgar Eugene Engram was born on 14 November 1866. He was the son of Edward W. Engram and Quintine T. Johnson. Edgar Eugene Engram lived in 1925 in Atlanta, Georgia. Horace Lee Engram was born on 16 April 1868. He was the son of Edward W. Engram and Quintine T. Johnson. Horace Lee Engram died on 9 April 1916 at age 47. Source:Paper from Captain Robert C. Engram to Majorie Bagwell. Eliza Engram was born on 18 May 1809. She was the daughter of Edward Engram and Elizabeth Kanady. Eliza Engram married Barden Walden on 15 May 1822. As of 1822,her married name was Walden. Eliza Engram died in 1890 in Bellwood, Alabama. Source:Paper from Captain Robert C. Engram to Majorie Bagwell Not sure if Barden or Bardon. Barden Walden was also known as Samuel Barden Walden.1 He married Eliza Engram, daughter of Edward Engram and Elizabeth Kanady, on 15 May 1822. Green Walden was born circa 1839 in Houston County, Georgia. He was the son of Barden Walden and Eliza Engram. Green Walden died between 1861 and 1870. James Walden was born circa 1843 in Georgia. He was the son of Barden Walden and Eliza Engram. Newton Walden was born circa 1846 in Georgia. He was the son of Barden Walden and Eliza Engram. Newton Walden married Louisa Jones on 5 October 1850. He served in CompanyA, 59th Regiment, Georgia Infantry during the Civil War. Henry Mitchell Walden was also known as Mitchell Walden. He was born on 10 November 1851. He was the son of Barden Walden and Eliza Engram. Henry Mitchell Walden died on 8 July 1932 at age 80. He was buried at Providence Baptist Church Cemetery, Clayhatchee, Dale County, Alabama. Sarah Jane Walden was born on 7 May 1840 in Georgia. She was the daughter of Barden Walden and Eliza Engram. Sarah Jane Walden died on 5 May 1901 in Dale County, Alabama, at age 60. Harriett E. Walden was born in August 1844 in Georgia. She was the daughter of Barden Walden and Eliza Engram. Harriett E. Walden married William Jack Stanley in 1882 at Dale County, Alabama. Harriett E. Walden died between 1910 and 1920 in Geneva County, Alabama. Source:Paper from Captain Robert C. Engram to Majorie Bagwell She was called "Betsey." Elizabeth "Betsey" Engram was born on 26 March 1811 in Houston County, Georgia. She was the daughter of Edward Engram and Elizabeth Kanady. Elizabeth "Betsey" Engram married Gabriel Smith in 1831. As of 1831,her married name was Smith. Source:Paper from Captain Robert C. Engram to Majorie Bagwell. Gabriel Smith married Elizabeth "Betsey" Engram, daughter of Edward Engram and Elizabeth Kanady, in 1831. (?) Unknown was the son of Gabriel Smith and Elizabeth "Betsey" Engram. Source:Paper from Captain Robert C. Engram to Majorie Bagwell One of the two boys who moved to Texas. (?) Unknown was the son of Gabriel Smith and Elizabeth "Betsey" Engram. Source:Paper from Captain Robert C. Engram to Majorie Bagwell One of the two boys moved to Texas. Jerona Engram was the daughter of Gabriel Smith and Elizabeth "Betsey" Engram. Source:Paper from Captain Robert C. Engram to Majorie Bagwell Married William T. Donnell, brother of Mariah Donnell, who married W. H. Walden. Source:Paper from Captain Robert C. Engram to Majorie Bagwell Died in infancy. Martha Ann Engram was born on 23 August 1832. She was the daughter of Edward Engram and Elizabeth Kanady. Source:Paper from Captain Robert C. Engram to Majorie Bagwell. Armanda Caroline Engram was born on 6 May 1834 in Houston County, Georgia. She was the daughter of Edward Engram and Elizabeth Kanady. Armanda Caroline Engram married Harrison Vaugh Irby on 10 December 1846. As of 10 December 1846,her married name was Irby. Source:Paper from Captain Robert C. Engram to Majorie Bagwell. Harrison Vaugh Irby married Armanda Caroline Engram, daughter of Edward Engram and Elizabeth Kanady, on 10 December 1846. Source:Paper from Captain Robert C. Engram to Majorie Bagwell. Abner Burnan Irby was born on 27 May 1852. He was the son of Harrison Vaugh Irby and Armanda Caroline Engram. Source:Paper from Captain Robert C. Engram to Majorie Bagwell. Edd Irby was born in 1847. He was the son of Harrison Vaugh Irby and Armanda Caroline Engram. Source:Paper from Captain Robert C. Engram to Majorie Bagwell. Sallie Irby was born in 1849. She was the daughter of Harrison Vaugh Irby and Armanda Caroline Engram. Source:Paper from Captain Robert C. Engram to Majorie Bagwell. Ida Irby was born in 1851. She was the daughter of Harrison Vaugh Irby and Armanda Caroline Engram. Source:Paper from Captain Robert C. Engram to Majorie Bagwell. Orillia Irby was born in 1853. 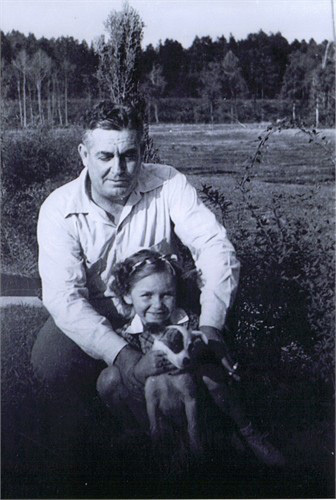 Orillia Irby was the child of Harrison Vaugh Irby and Armanda Caroline Engram. [S141] Email from Marjorie Helen Goff dated July 12, 2000 to Hunter Wayne Bagwell - Subject Line: Autry Goff. [S142] Autrey Jerome Goff, Alabama Certificate of Death: Autrey Jerome Goff. Pauline Emma Adair was born on 7 January 1902 in Alabama Her place of birth is unclear. It could be Georgia. She was the daughter of George R Adair and Drucillia Peters. Pauline Emma Adair lived in 1920 in Hartford, Geneva County, Alabama. She married Private Autry Jerome Goff, son of John Wesley Goff and Ola May Engram, on 16 February 1920 at Ozark by T. A. Windham P.C.3 As of 16 February 1920,her married name was Goff. Pauline Emma Adair died on 22 July 1953 in Blakely, Early County, Georgia, at age 51.